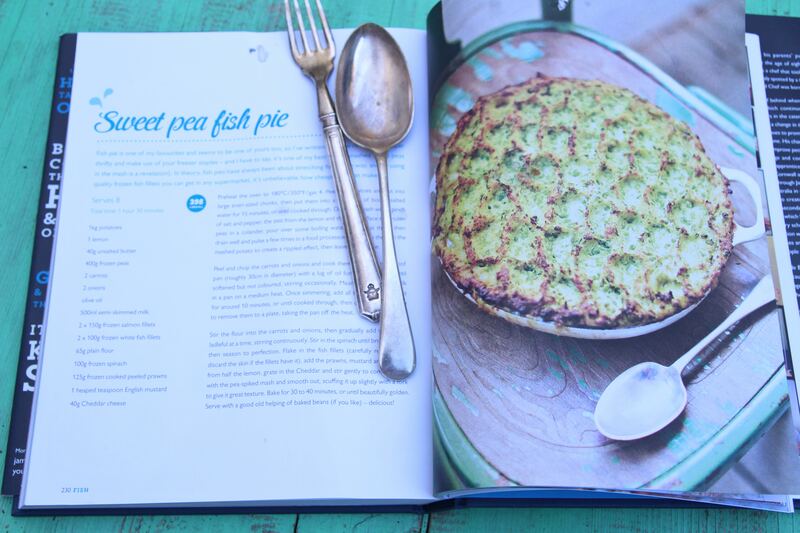 Fish and mashed potato are a lovely combination in this pie. 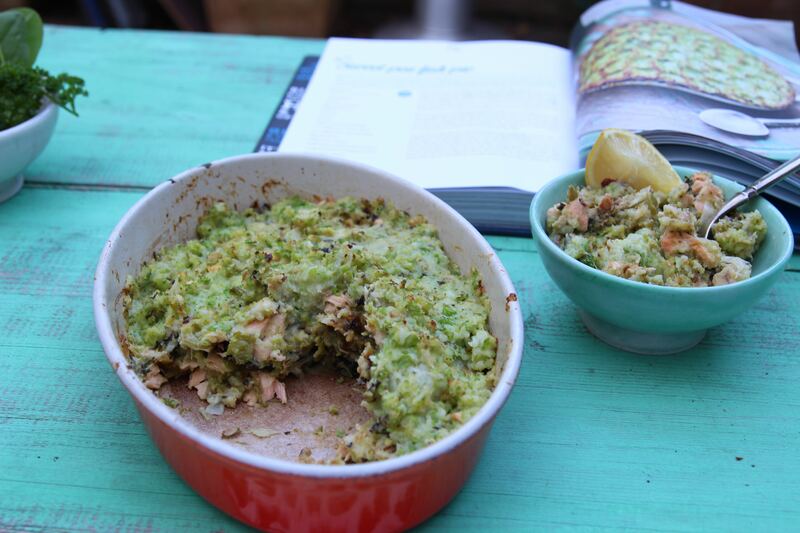 From Save With Jamie, the recipe is great because it uses frozen fish fillets, which means you can pull the fish out of the freezer and create the dish without much pre-planning. Everyone has potatoes on hand, and the peas are frozen too. I made a few changes to the recipe – I cut the quantities down by half (to serve four), and used salmon fillets only instead of additional white fish and prawns. And I left out the carrots. So this is the recipe I made, followed by Jamie’s original recipe with quantities for eight and salmon, white fish and prawns, and carrots. And I have now had feedback that my tweaked recipe works – my friend Katrina, recently wed, has cooked the dish – and here is the picture to prove it! Looks yummy! Preheat the oven to 180 degrees C or 160 degrees fan forced. Peel the potatoes and cut into large even-sized chunks, then put them into a large saucepan of boiling salted water for 15 minutes, or until cooked through. Drain and mash with a pinch of salt and pepper, the zest from the lemon and the butter. Place the frozen peas in a colander, pour over some boiling water to defrost them, then drain well and pulse a few times in a food processor. Fold them through the mashed potato, then leave to one side. Add the chopped onion and cook in a large ovenproof pan with a lug of oil for 15 minutes, or until softened but not coloured, stirring occasionally. Meanwhile, heat the milk in a saucepan pan on a medium heat. Once simmering, add the frozen fish fillets for around 10 minutes, or until cooked through, then use a slotted spoon to remove them to a plate, taking the saucepan off the heat. Stir the flour into the onion, then gradually add the milk, a ladleful at a time, stirring continuously. Stir in the spinach until broken down, then season. Flake in the fish fillets (carefully remove and discard the skin if the fillets have it), add the mustard and the juice from half the lemon, grate in the cheese and stir gently to combine. 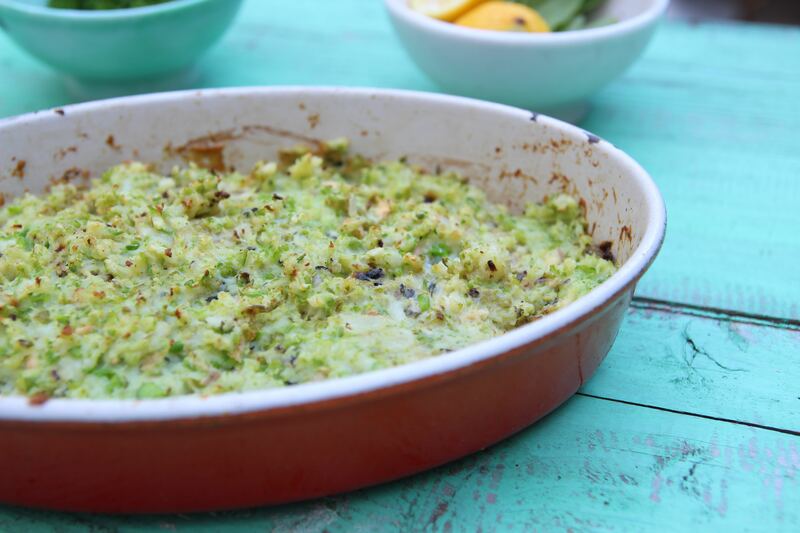 Top with the pea-spiked mash and smooth out, scuffing it up slightly with a fork to give it great texture. Bake for 30 to 35 minutes, or until crisp on top. Preheat the oven to 180ºC/350ºF/gas 4. Peel the potatoes and cut into large even-sized chunks, then put them into a large pan of boiling salted water for 15 minutes, or until cooked through. Drain and mash with a pinch of salt and pepper, the zest from the lemon and the butter. Place the frozen peas in a colander, pour over some boiling water to defrost them, then drain well and pulse a few times in a food processor. Fold them through the mashed potato, then leave to one side. Peel and chop the carrots and onions and cook them in a large ovenproof pan (roughly 30cm in diameter) with a lug of oil for 15 minutes, or until softened but not coloured, stirring occasionally. Meanwhile, heat the milk in a pan on a medium heat. Once simmering, add the frozen fish fillets for around 10 minutes, or until cooked through, then use a slotted spoon to remove them to a plate, taking the pan off the heat. Stir the flour into the carrots and onions, then gradually add the milk, a ladleful at a time, stirring continuously. Stir in the spinach until broken down, then season to perfection. Flake in the fish fillets (carefully remove and discard the skin if the fillets have it), add the prawns, mustard and the juice from half the lemon, grate in the Cheddar and stir gently to combine. 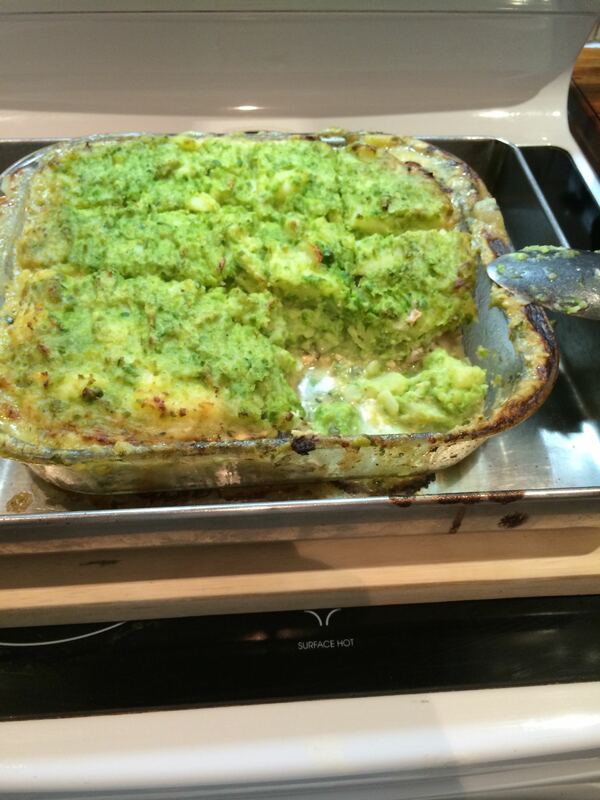 Top with the pea-spiked mash and smooth out, scuffing it up slightly with a fork to give it great texture. Bake for 30 to 40 minutes, or until beautifully golden. Serve with a good old helping of baked beans (if you like) – delicious! Posted in Fish, Pies, Tarts and Quiches, Savoury Food and tagged frozen fish, Jamie Oliver, mashed potato, salmon. Bookmark the permalink.